On Friday January 24, 2014, United Nations Special Rapporteur, Professor James Anaya visited United States Penitentiary Coleman 1 in Florida, to meet with American Indian political prisoner Leonard Peltier. Professor Anaya was accompanied by Leonard “Lenny ” Foster, member of the Board of Directors of the International Indian Treaty Council (IITC), Supervisor of the Navajo Nations Correction Project, and Spiritual Advisor to Mr. Peltier for nearly 30 years. The historic, nearly four hour meeting began around 9 am. While the discussion Friday morning was meant to focus on executive clemency for Leonard Peltier, the conversation touched on many subjects, as Mr. Peltier was eager to hear the Special Rapporteur’s perspective on the worldwide condition of indigenous peoples. 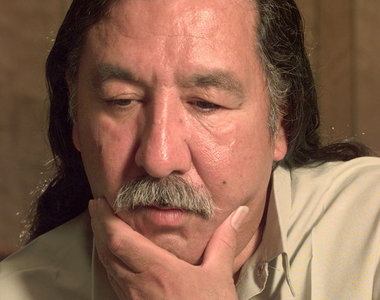 In a trial that is widely recognized as a miscarriage of justice, Leonard Peltier was convicted in 1977, in connection with a shootout with US Government forces, where two Federal Bureau of Investigation agents and one young Indian man lost their lives. Every piece of evidence to convict Mr. Peltier has been since proven false.